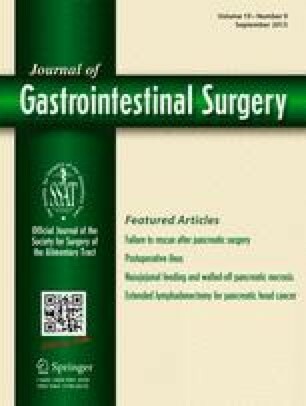 Delayed gastric emptying (DGE) is a common complication after pancreaticoduodenectomy (PD), yet it remains incompletely understood. The International Study Group of Pancreatic Surgery (ISGPS) in 2007 defined a three-tiered grading system to standardize studies of DGE. In this study, 721 patients undergoing PD between 2006 and 2012 were retrospectively categorized by the ISGPS DGE criteria, as well as a modified grading system (termed primary DGE) if, on retrospective review, DGE was not believed to be a sequela of a separate complication. Predictive factors and associated outcomes were determined. ISGPS-defined DGE occurred in 140 (19.4 %) patients. In a multivariate analysis, predictors of ISGPS-defined DGE included abdominal infection (odds ratio (OR) 5.5, p < 0.001), male gender (OR 1.92, p = 0.007), smoking history (OR 1.75 p = 0.033), and periampullary adenocarcinoma (OR 1.66, p = 0.041). Primary DGE occurred in 12.2 % of patients. Predictors included abdominal infection (OR 3.15, p < 0.001) and smoking history (OR 2.04, p = 0.008). Median hospital charges increased over $10,000 with each severity grade of DGE (p < 0.001). DGE is common after PD and contributes substantially to cost. DGE is frequently a secondary complication of abdominal infection, and interventions that limit such complications may be the most effective strategy toward preventing DGE.